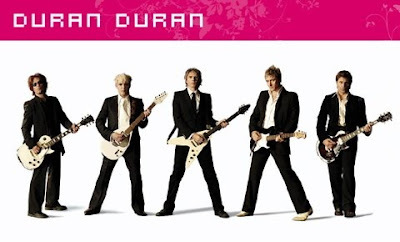 WAIST HIGH: Duran Duran To Celebrate 30 Years. Duran Duran To Celebrate 30 Years. ITV, the biggest commercial television network in the UK, is set to screen the Duran Duran special One Night Only later this month. From Duran Duran: ITV has exclusive access to one of the UK's most iconic pop bands, Duran Duran, as they celebrate a unique milestone - 30 years in the music industry. Guaranteed to be the hottest ticket in town, Duran Duran: One Night Only captures this multi award-winning band as they perform at ITV's London studios before a live audience. The one-off special will provide an invaluable insight into one of the country's favourite acts, who have dominated the charts since they first formed in the early 1980s and who have sold more than 80 million records. Taking centre stage in this intimate venue, the band will perform their biggest hits from across their career, as well as tracks from their new, critically acclaimed album, All You Need Is Now. Hosted by Christine Bleakley, the show will celebrate one of Britain's biggest music exports as they share a rare insight into their career. With exclusive, never-before-seen archive footage, and in-depth interviews with each of the band members, the programme will provide viewers with a unique perspective on the band and their music; from the early years, when their photographs graced teenagers' bedroom walls around the world, and the hysteria and mayhem followed them day and night, to the present day. Speaking about the show Duran Duran lead singer, Simon Le Bon said today: "We are very excited to be a part of the One Night Only series – as we really like the format of the programme. We always enjoy performing in front of a live audience and this show will be the first opportunity for us to play a number of songs from the new album. We've spent the last couple of weeks in our rehearsal room working on the arrangements for all the new material and we are looking forward to the show very much." John Kaye Cooper, Controller of Entertainment said: "It will be a real treat for ITV viewers to see one of Britain's most iconic and successful bands of the 80's celebrating their musical milestone."